Erinn Contreras is a partner in the Business Trial Practice Group in the firm's San Francisco office and leader of the firm's Chambers­-ranked Construction Team. Erinn is a seasoned construction and real estate attorney who represents owners, developers, general contractors, subcontractors and construction lenders in all stages of construction projects. She negotiates and drafts a variety of construction contracts, including design-build contracts, EPC contracts, professional/consultant agreements and modified AIA contracts. Erinn counsels clients on issues that arise during the course of construction, including cost overruns, delays, breach of contract and other issues. Erinn has extensive experience litigating construction-related claims, including construction defect, delay, cost overruns, mechanic’s liens, quiet title and products liability. She works collaboratively with clients, consultants, expert witnesses and opposing parties to resolve disputes economically and efficiently. When early resolution is not possible, she vigorously litigates on behalf of her clients before judges and arbitrators. 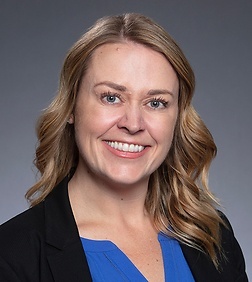 In addition to her construction and real estate practice, Erinn also has ample employment-related experience, consisting of both employer counseling and employment litigation. She regularly advises employers on a wide array of employment issues, including employee terminations, wage and hour compliance, leaves of absence and requests for accommodation. Erinn has significant experience defending employers against claims for wrongful termination, discrimination, harassment and retaliation. She recently obtained a fully-favorable ruling on behalf of a Fortune 500 company accused of discrimination following a one-week arbitration. Representing institutional owner of large, multi-family projects in construction defect cases against developer, general contractor and subcontractors, and successfully achieved global settlements with all parties and their insurance carriers. Obtaining a substantial judgment on behalf of an institutional owner in a construction defect trial. Representing data center company in dispute involving defective products. Representing products manufacturer in litigation arising from alleged defects of products. Representing subcontractor in prosecuting mechanic’s lien claims and defending delay claims. Representing developer and owner in negotiating and drafting construction contracts. Representing developer and owner in disputes with general contractor over delays, cost overruns and workmanship. Representing general contractor on delays, cost overruns and other issues during course of construction project. Advising property owner regarding water intrusion issues and best practices in managing existing tenants. Represent homeowners of multi-million dollar homes in construction defect litigation. Counseling real estate and construction company in employment-related issues. Obtaining a judgment on behalf of a property owner in an action against a tenant. Procuring a fully-favorable verdict on behalf of a Fortune 500 company accused of discrimination following a one-week arbitration. Obtaining summary judgment in favor of an employer in a disability discrimination case.